Bangkok Says Sawadee (Hello!) to the Hearthstone Championship Tour! HCT will feature a Tour Stop in Bangkok, right in the heart of the city. HCT Bangkok will be a Grand Prix tournament held March 16 through 18. This offline tournament’s top 32 players earn Hearthstone Competitive Points, with additional cash prizes for the top 16 players. The first Tour Stop in Southeast Asia for 2018, HCT Bangkok will have a 256-player bracket, which players will have to sign up for online before showing up to compete in-person. The tournament—which will be open globally—will be hosted at the Pantip Esports Arena in Pantip Plaza, in the Pratunam district of Bangkok. Players must cover their own travel expenses. However, limited free accommodation will be provided to all attending international players who have earned 5 or more HCT points in 2017’s competitive year. Accommodation will be provided on a first-come, first-serve basis, with more information to be shared via email with attendees. Players competing under the Chinese HCT system may also be eligible for free accommodation; please reach out to tournament staff through the Discord channel provided below for more information. 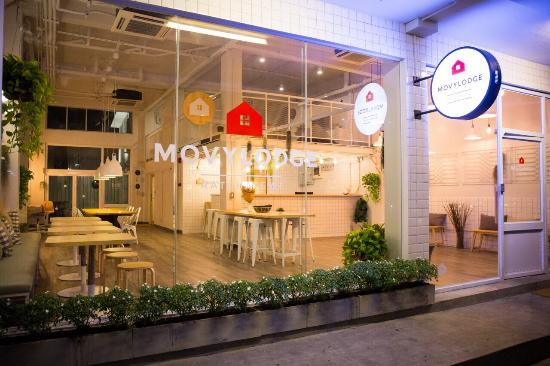 HCT Bangkok accommodation will bring participants back to the MovyLodge hostel, located at 505 Petchaburi Road, Phaya Thai, Ratchathewi, Bangkok, Thailand Pathumwan, 10400. Tournament registration will run from Friday, Feb. 2 at 2:00 a.m. PST (5:00 p.m. ICT) until Monday, Feb. 12 at 2:00 a.m. PST (5:00 p.m. ICT). If you're a player from Thailand, register via the link below. If you're a player from outside Thailand, register via the link below. A player’s residency and eligibility is dependent on their Battle.net account Country of Residence. If you’re concerned about getting a spot in the tournament, fret not! There will be limited reserved spots in the bracket for players flying in from other regions. Just be sure to enter your correct Country of Residence. If you have any questions about the tournament or its registration, join the official tournament Discord! The tournament bracket will be double elimination. All matches will be best-of-five in Conquest format with one ban, so each player must bring four different classes. The full ruleset for HCT Tour Stop: Bangkok can be viewed here, with the HCT 2018 Player Handbook available here. The tournament will be played on the Americas server. March 16: Round of 256, 7:00 p.m. PST (9:00 a.m. ICT). This day is open to participants only. There is no broadcast for the preliminary day. This day will be open to the public and will be held in Pantip Plaza Pratunam. It will also have multiple language broadcasts on Twitch. The Bangkok Tour Stop is open to all players with a valid Battle.net account. 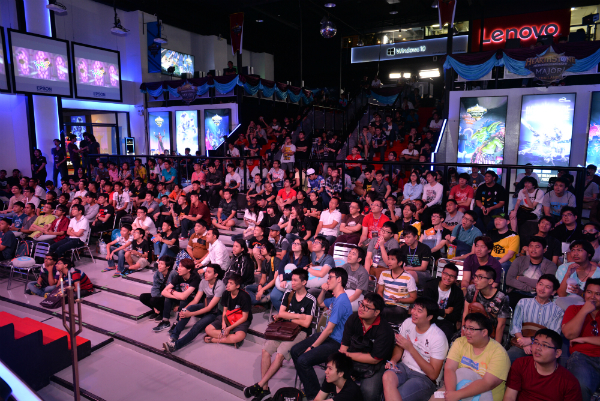 Which game region will HCT Bangkok be conducted on? The tournament will take place on the Americas server. Will super accounts be provided for attending players who do not have collections on the Americas servers? Super accounts will be granted to attending players who do not play on the Americas server. This will be determined by the player’s currently-registered Battle.net Country of Residence as well as their physical country of residence. Do I need to pay a deposit for the free accommodation? Free accommodation will only be provided to players who do not live in Thailand. You will receive a confirmation email once your registration has been successfully verified. You will need to put down a deposit of $50 USD via PayPal to hold your spot. This will be returned to you in Thai baht upon tournament check-in, so you have some spending money for your trip. What is the format for all matches in HCT Bangkok? How do I get more information on HCT Bangkok? Join the tournament Discord channel for more information! Can’t make it to HCT Bangkok? Check out HCT Toronto! This Grand Prix Tour Stop will take place in the EGLX gaming convention, which will take place from March 9 to March 11 2018. Bring your own device to this 1v1 tournament and compete in a 256-player Swiss-style bracket that narrows down to a Top 16 single elimination playoffs. All matches will be played best-of-five in Conquest format with one ban. Deck lists will be open, and the tournament will be administrated through smash.gg. HCT Toronto will be played on the Americas server and carries a total prize pool of $15,000. For more information on prizing breakdown, visit their website. You will need a ticket to the convention to access the tournament. Stay up to date on tournament details through the Hearthstone Esports Twitter channel and let us know your thoughts with the hashtag #HCTBangkok! We’ll see you in the tavern!